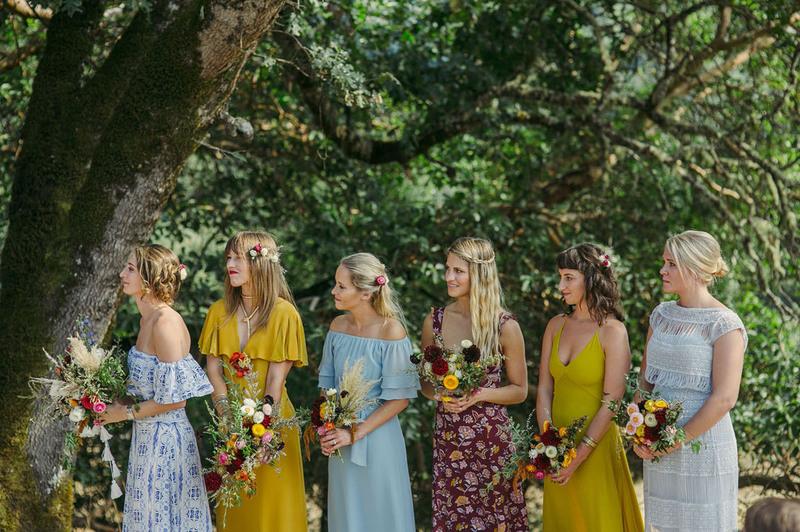 In the spirit of Coachella and festival season, free-spirited festival weddings are popping up as we speak. 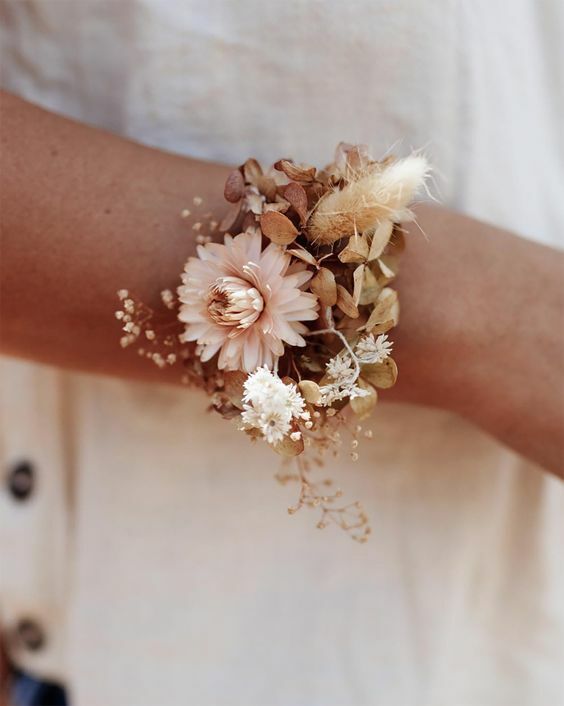 Dreamy desert colors, boho floral statements and ethereal bridal style are just a few takes from festival season. Read on for ultimate inspo that will have you feel like you’re dancing among the desert stars. Mix neutrals with soft hues of sage, rose and powder blue for a colorful and dreamy color palette. 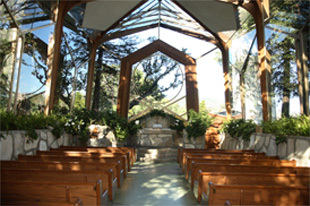 Complement the natural beauty of your venue with shades that remind you of nature itself! For bridesmaids dresses, choose similar colors and prints in different flowing silhouettes for a cohesive but different style. 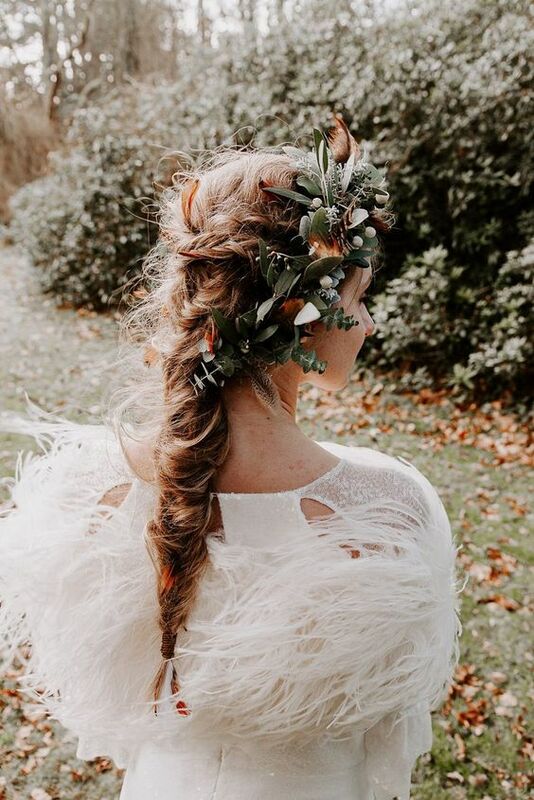 Switch up the hairstyles with messy updos, loose braids or beachy waves tucked with wildflowers for a fun look. What do emerald-green meadows, lush grasses and rustic details have in common? Wayfarers! 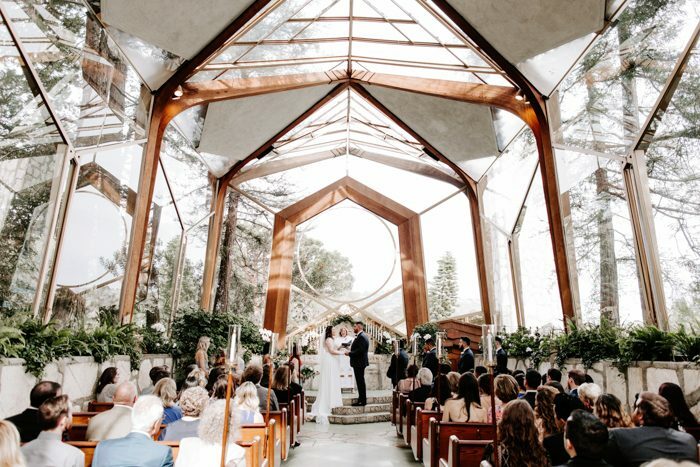 Wayfarers Chapel is the perfect venue for a boho wedding bash. It’s not quite as dry as the desert – after all, it does have an ocean view! This season, be prepared to see the dry floral trend take over! 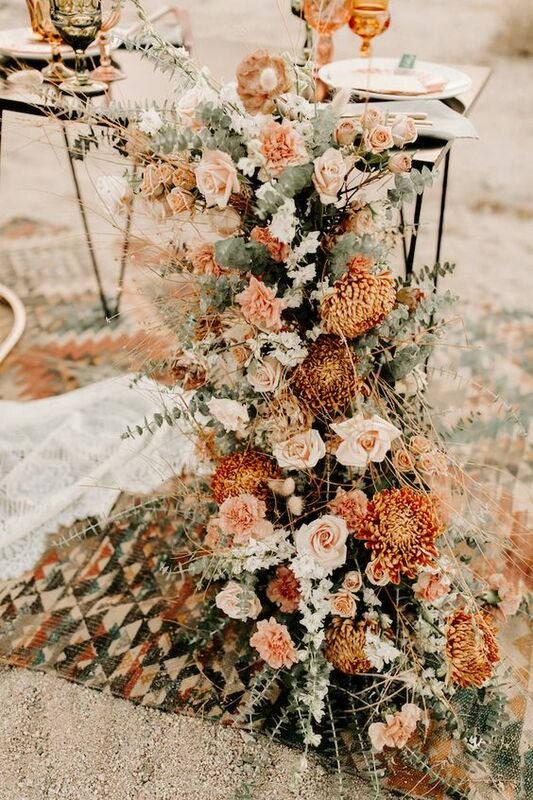 Dry grasses, eucalyptus and golden buttons make for a unique, eclectic bouquet. A bonus? They’ll withstand the heat and last all day and night! How sweet is this bride and groom setup? 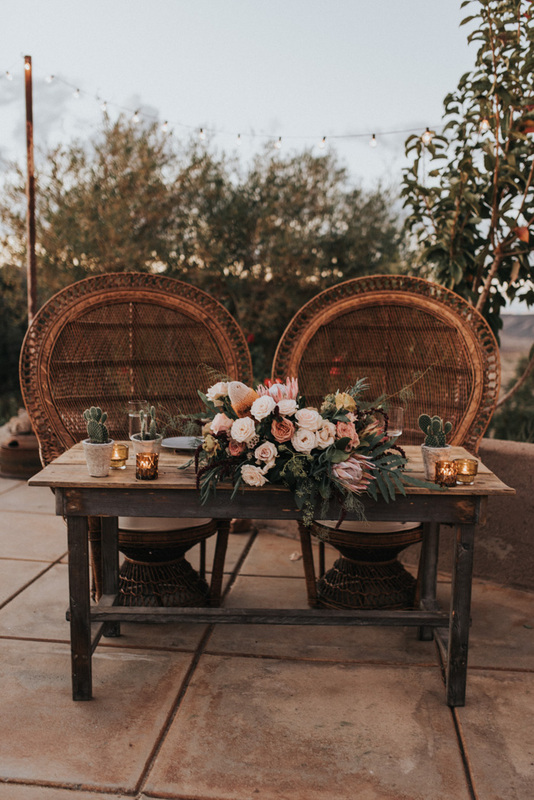 Wicker chairs, flickering candles and cactus flowers make for a romantic setting for the newlyweds. 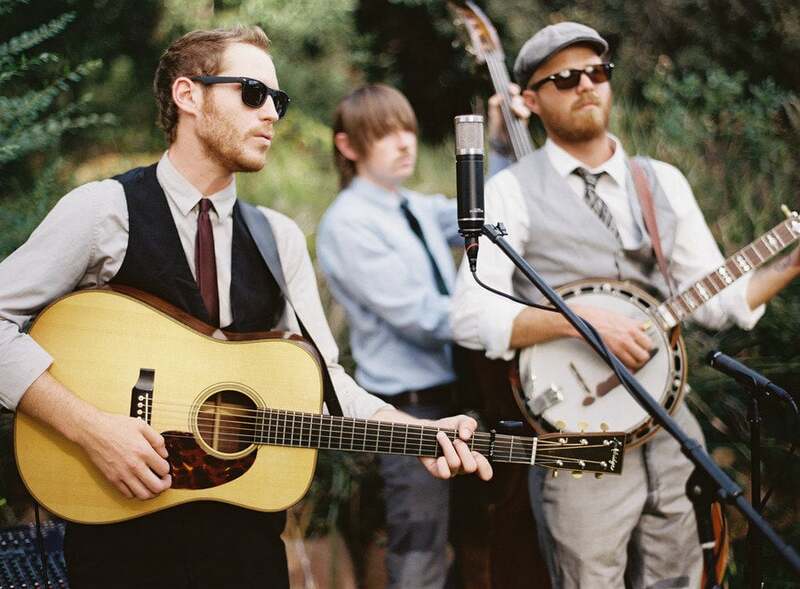 If you’re looking to emulate the spirit of a music festival, then having live music at your reception is a no-brainer. Whether it’s a band who covers the classics or an indie-folk duo, your guests will be up on their feet and grooving to the beat. Give your guests festival-inspired flavors with elevated street food like fish tacos, poke and vegan nachos. For drinks? 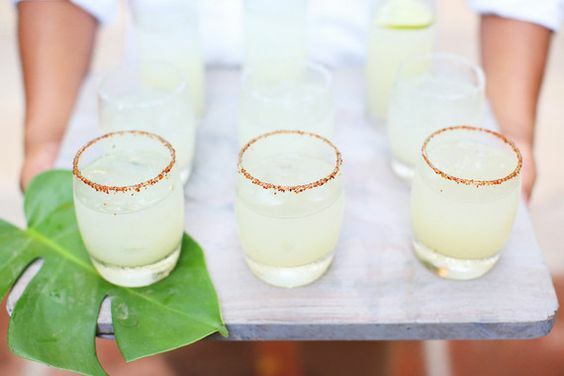 Go for refreshing favorites like spicy margaritas and chilled rosé. Are you inspired by the festival season? Tag us in your spring wedding photos at @wayfarers_chapel on Instagram!